Coming soon: OANDA Trade Leader Program (available in some regions). Replicate trades of Currensee-approved Trade Leaders. 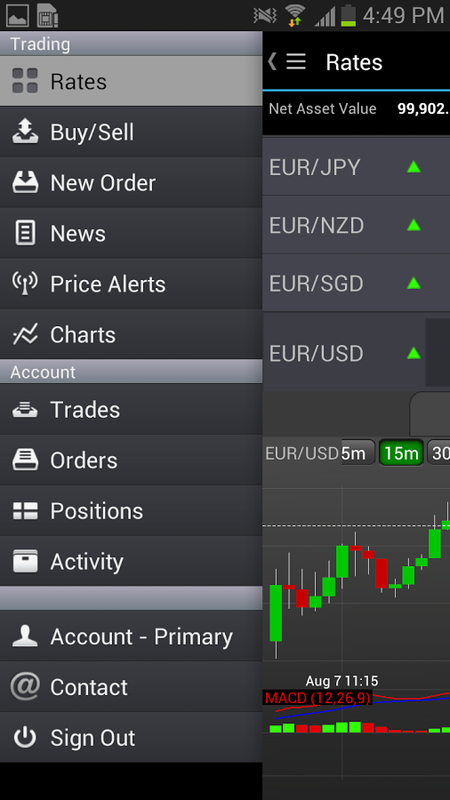 The newest application from forex market innovator OANDA optimizes your trading experience on smartphones and tablets. Robust desktop functionality is now available on the handset. 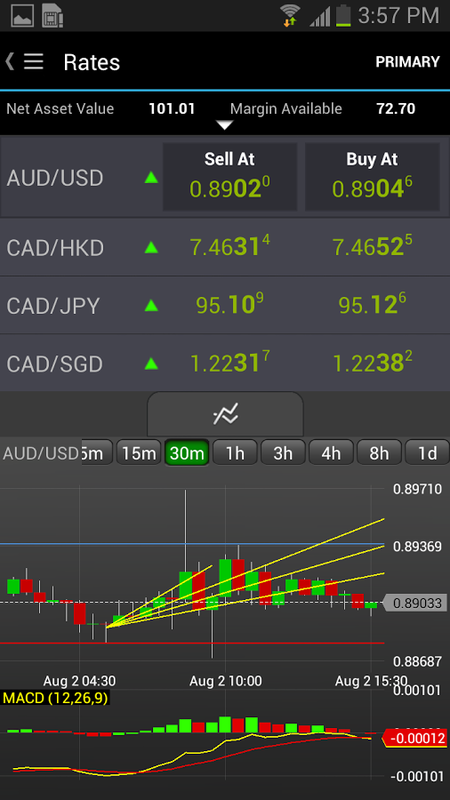 The app’s intuitive design makes the most of native Android capabilities to provide features that traders at every level need to stay on top of the fast-moving forex market. OANDA’s fxTrade mobile app allows you to quickly monitor forex market activity and react in real-time – without being tied to your desk. With one touch you can manage positions, control risk, and monitor account status and profitability while on the go. Please note you must have a live or practice fxTrade account to use this app. 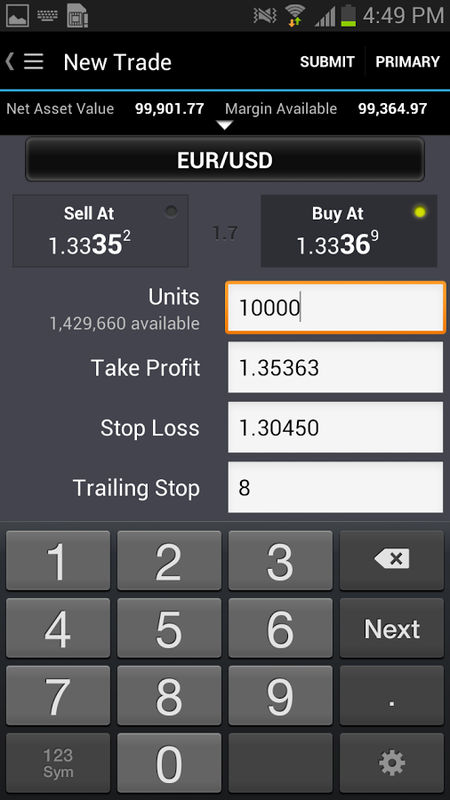 Register for a practice account within the app, or sign up for a live trading account online @ http://fxtrade.oanda.com. Leveraged trading is high risk and not suitable for all. You could lose all of your deposited funds. Examples shown are for illustrative purposes only and may not reflect current prices or offers from OANDA.